Wilkes University has recently become the only school within a two-hour range to offer both a major and a minor in Hospitality Leadership, a program that was developed to support the vibrant hospitality industry in our region. The Hospitality Leadership program at Wilkes, which launched last semester, prepares students for management-level career opportunities in hotels, casinos, restaurants, convention centers, sports venues, airlines, cruise ships, and more. The program is housed in the Jay S. Sidhu School of Business and Leadership, allowing all hospitality students to take a solid foundation of core business and leadership courses, along with the hospitality core courses. “Especially in the hospitality industry, employers are looking for the person who has a hospitality degree with a business background,” says HyeRyeon Lee, PhD, CHIA, Assistant Professor of Hospitality Leadership at Wilkes University. Through this program, students gain experience beyond the classroom. Thirty percent of their curriculum is composed of guest speakers and site visits, which provides access and insight from industry leaders in the region. Dr. Lee says that in her Introduction to Hospitality class alone, the students have 3-5 field trips per semester. Additionally, they are required to complete two internships, one of which they complete early in their education, as well as a more advanced internship that is completed in their final year. These internships provide the students with hands-on experience in different types of hospitality careers before they even enter the job market. Students are also required to complete industry-recognized certifications, including Training for Intervention Procedures (TIPS) certification, which is designed to help food and beverage professionals prevent intoxication, underage drinking, and drunk driving and Certification in Hotel Industry Analytics (CHIA), which recognizes the knowledge of metrics, formulas, and methods used by the hotel industry. 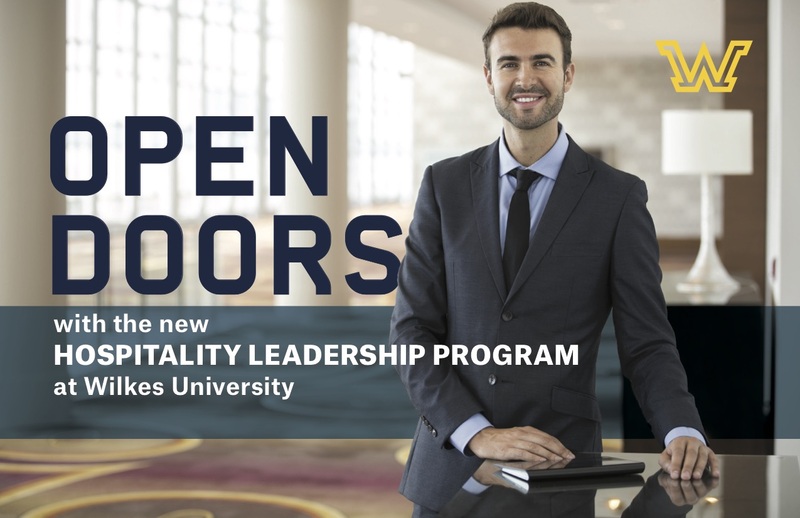 The detailed curriculum of the Hospitality Leadership program at Wilkes University and the real-world experience that is provided to students is the perfect gateway to careers in hotel and lodging management; casino and gaming management; food and beverage management; meeting, event, convention, and travel planning; and managed services for clubs and institutions.